With school starting back up in just a few weeks, you may want to throw the kids a back-to-school party to help ease their pain. 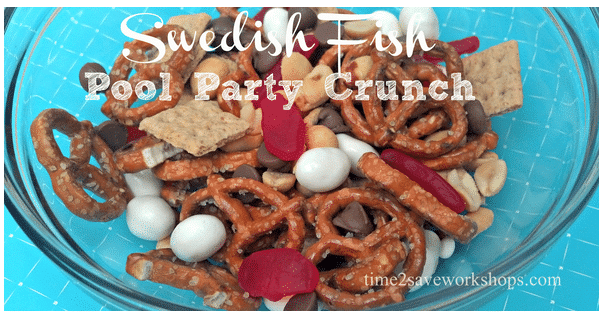 Here’s a fun snack you can serve at a pool party or any time! Mix it up and serve it to your little swimmers for a fun, festive pool party snack! 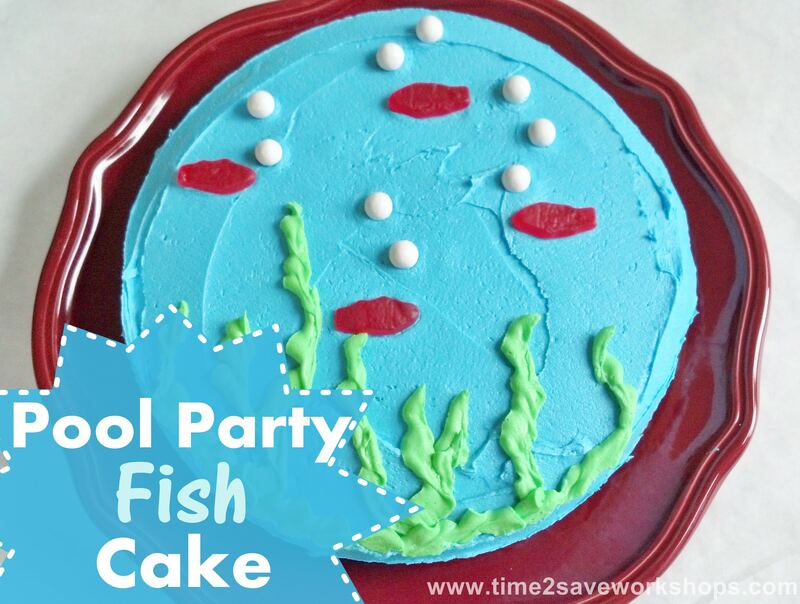 You might also want to use up your leftover Swedish Fish on this cute and easy Pool Party Fish Cake! « Red, White & Blue Fruit Kabobs or “Sparklers”!